The Platelet Rich Plasma (PRP) consists of concentrated fibrin, stem cells, and platelets resulting in up to a five-fold increase in platelets and bioactive growth factors. Because it is so concentrated, PRP acts as a potent tissue growth stimulant, amplifying the natural process of tissue repair and healing. Studies show that PRP induces the production of new collagen, bone and cartilage cells at the site of the injection, rebuilding the joint cartilage and strengthening injured ligaments and tendons. This new collagen is naturally incorporated directly into your existing cartilage and ligaments, making them thicker and stronger. Together, these compounds(especially with combined with Stem Cells) control and regulate your natural healing process in response to injury and degenerative changes. By concentrating these growth factors and injecting them at the site of injury, a robust healing response is achieved, rejuvenating tissues damaged by injury, delaying and/or reversing degenerative changes, and osteoarthritis. PRP or Platelet Rich Plasma has hit the mainstream media. PRP is a mix of concentrated platelets and serum. Why is this important? Surgeons have known for years that healing depends on platelets. 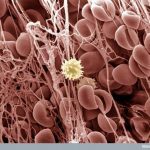 These very tiny blood components are rich in growth factors and help form a blood clot during injury. When you injure an area like a ligament or a muscle, they seep into the wound during the bleeding that normally occurs. They then set up a blood clot to stop the bleeding and start to release growth factors to the area to coordinate a repair response. Over the first week or so, they act as a time release “pill” that secretes various growth factors as various times. These time release growth factors do things like bring in stem cells and bring in new blood vessels to ensure that the body can get more blood to the area. PRP is created when the doctor takes blood from a vein and places it in a special centrifuge to concentrate platelets (usually 3-5 times their normal concentration). To use a gardening metaphor, if you have a plant that is injured and not doing well, placing some more water and fertilizer in the ground may help your plant recover. Platelets are like fertilizer, their growth factors help rev up the local repair response. So PRP is generally good for helping things that may either heal on their own (given enough time) or are maybe stuck in the healing process and need a little “kick” to get things going towards resolution. While PRP may help recruit a few stem cells to the area, stem cell injection therapy is much more advanced. For orthopedics in particular, if PRP is like adding additional fertilizer and water to the plant, mesenchymal stem cells (MSC’s) are like placing new seeds in the area and hiring a gardener. MSC’s are capable of not only differentiating into the new tissue that is lost, but also coordinating the repair response (so the seeds and the gardener). So MSC therapy would be more appropriate for degenerative diseases where there is lost tissue (like chronic arthritis, a partial tenon or ligament tear, a low back disc where there are torn fibers allowing the disc to bulge). In addition, the lab prep for MSC therapy is much more complex than PRP. While PRP can be made in a simple bedside centrifuge, MSC’s are isolated from fat. The upshot, PRP is great to kick start a healing process that may be stuck, MSC’s and other stem cell approaches will likely rule the day in regenerative medicine.